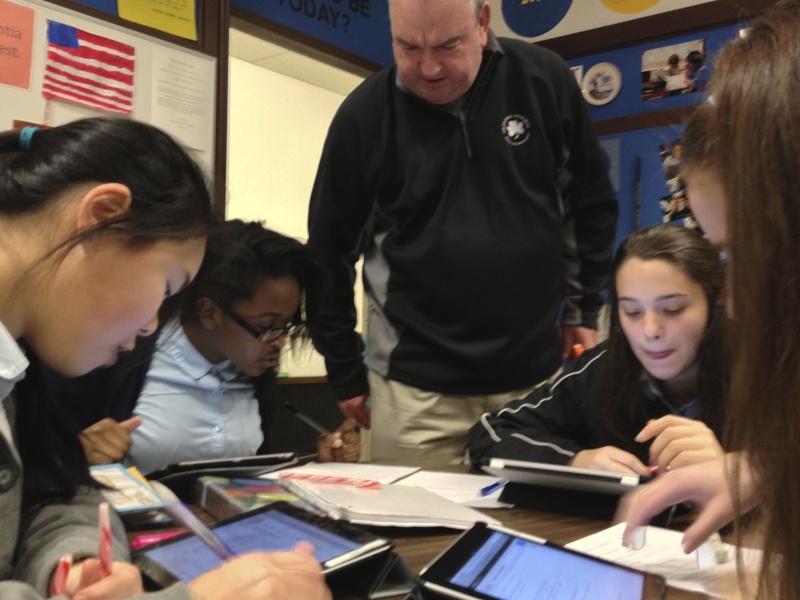 8th graders at Holy Cross School in South Portland work with iPads. Photo by Chris Toy. How will you celebrate? Are your middle school students doing interesting work that you could share with the public? Has your school implemented a new project or program designed for the unique needs of young adolescents? Get the word out by contacting your local newspaper or through your social media. For more ideas and inspiration for planning your Middle Level Education celebration, check out AMLE’s Planning Your Celebration page. This entry was posted in Announcements, General and tagged AMLE, celebrations, Middle Level Education Month. Bookmark the permalink.